Smart home system installations nearly doubled last year and millions of consumers are using smart home solutions. Cloud platforms combined with consumer-driven wireless sensing and control standards have made this possible. This growth is coming from multiple channels and increasingly through bundled offerings by IP security, cable/MSO and telecom service providers. Today, retail systems are growing the fastest with annual sales for several products increasing by more than 300% last year. Early adopting consumers have high awareness of the features they want and rank newly purchased products relatively high but there is ongoing concern with smart home integration. ON World's recently completed January 2016 survey found that half are willing to pay for smart home services and 9 in 10 of the likely smart home adopters are planning to purchase from a retail or online source. By 2020, there will be 75 million smart home systems installed worldwide supporting applications for safety, security, energy management, smart home appliances, lighting controls and others. This report is based on surveys and phone interviews with 3,000+ individuals across the whole smart home value chain, an evaluation of 900+ products and 300 mobile apps with 300,000 consumer ratings, and analysis of 100+ companies. 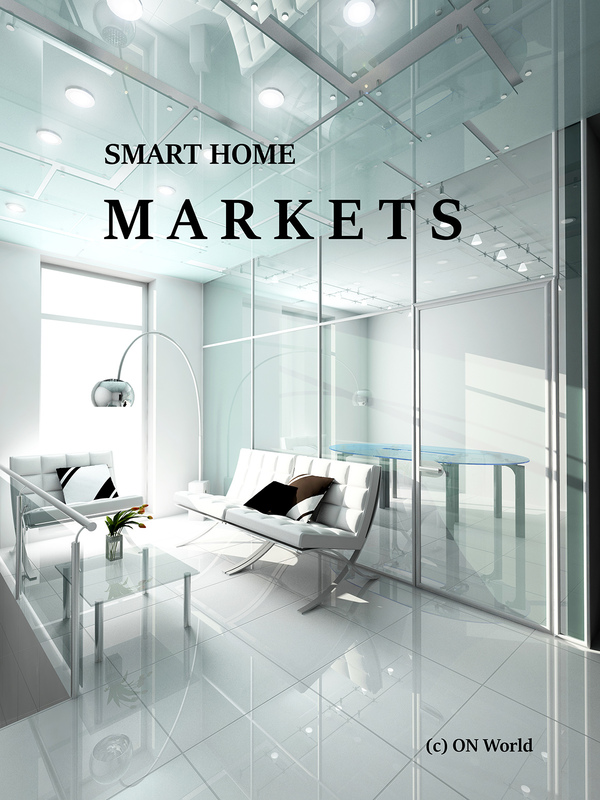 It analyzes the market opportunities and threats for all stakeholders and provides in-depth market data and market size forecasts on 20+ smart home markets. It includes the results from several surveys with early adopting consumers, adoption trends by sales channel (managed services, professional installers and retail/DIY), product segment and technology, mobile apps and other cloud services. This report is part of a series of reports on the smart home that may be purchased separately or as part of a report set. 3,000+ individuals including consumers, home service providers, retail outlets, professional installers, device manufacturers, software developers and component suppliers.